90 Years Miss Monroe! 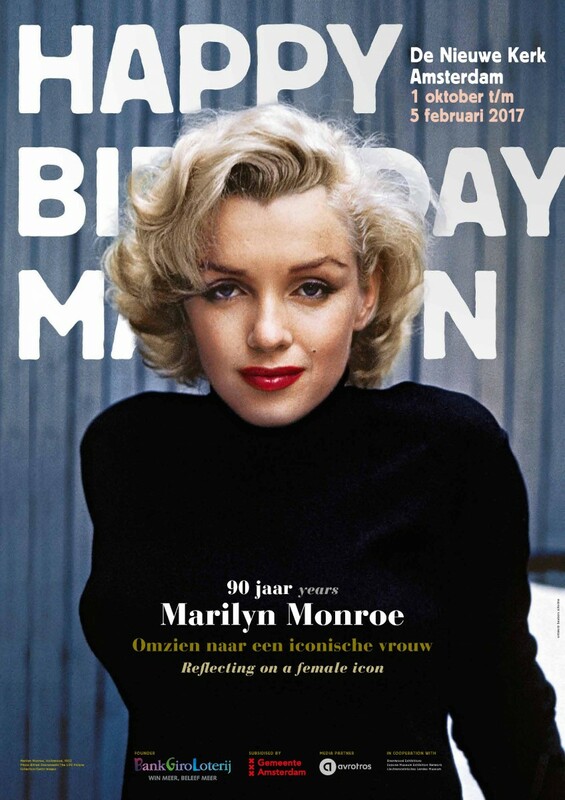 In the year that she would have turned 90, De Nieuwe Kerk will reflect on a great style icon: Marilyn Monroe. From October 1 until February 5 2017, the exhibition about her life and legacy, including numerous personal items from her house at 5th Helena Drive in Brentwood, California, can be visited. After her death, her belongings were stored in their entirety by her heirs and remained unmoved for decades. 37 years later the auctioning of her belongings began, first at Christie’s in New York and then at a number of other auction houses. A considerable amount was purchased by Monroe collector Ted Stampfer and these are the items presented in this exhibition. The private objects, including famous articles of clothing, accessories and personal documents, together with photos and film clips, afford a unique and intimate view of the woman, both in and outside the camera’s gaze. This biographical exhibition opens up Marilyn’s world; the successful and glamorous external appearance as well as her often lonely inner world, full of setbacks, as well as her witty, creative and progressive personality. Determined to make an extraordinary career in her own way, she gained prestige that still captures the imagination of many. Her saying ‘I don’t mind living in a man’s world, as long as I can be a woman in it’ says a lot about who she was and who she wanted to be; about her time and the world in which she lived.